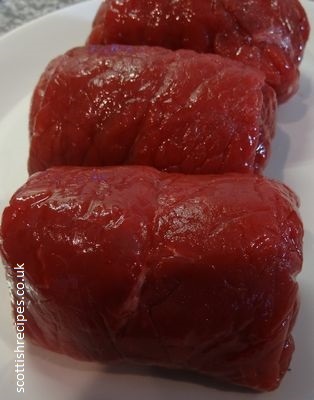 Scottish Beef Olives are a great dinner treat, named because of their similarity to stuffed olives. 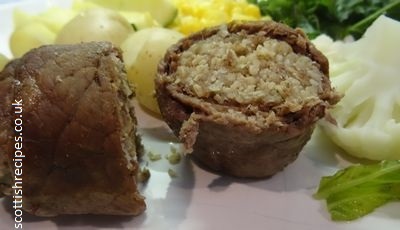 Thin slices of Scotch meat are wrapped around stuffing, usually oatmeal based here in Scotland, though some butchers and home cooks will use sausage meat or from cuts of mince or pork. 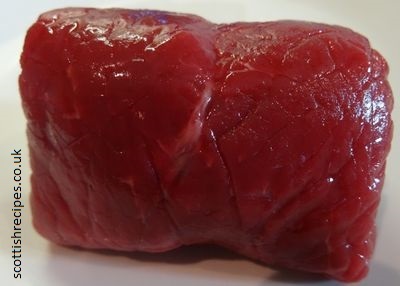 They are neatly tied with string to prevent their separation during cooking and are normally roasted in gravy. We gently fry ours to brown , then add them to gravy in the slow cooker.